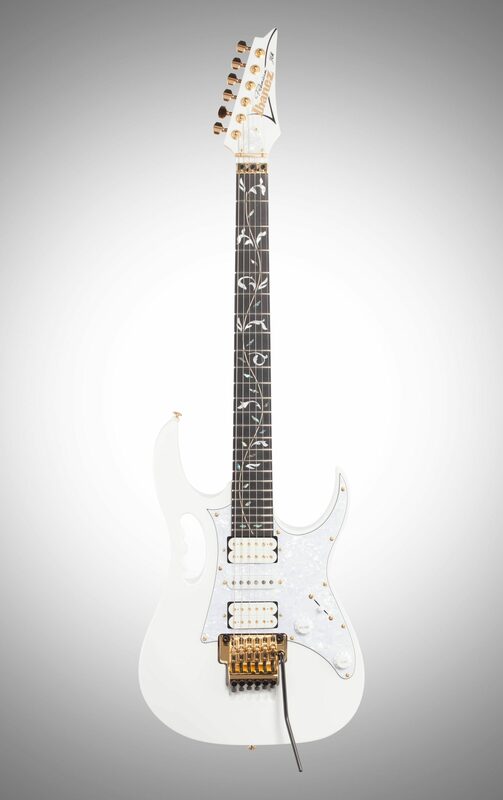 When Steve Vai teamed up with Ibanez in 1987, little did he realize what a lasting impact his signature model guitar would have. 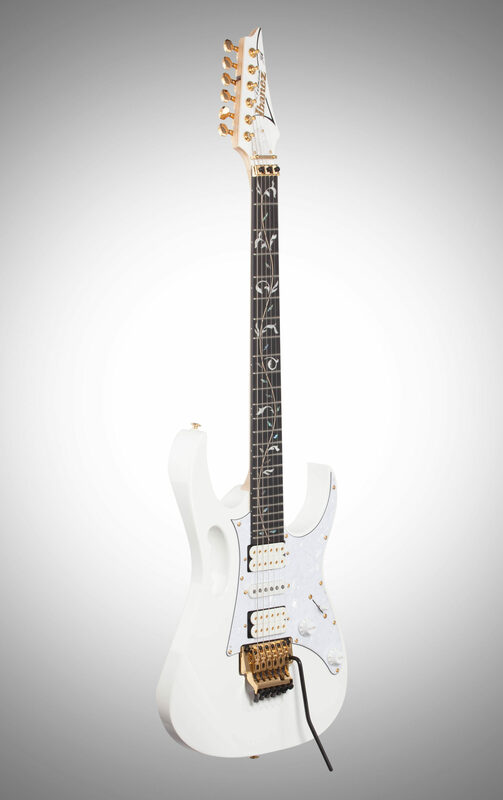 Today, the JEM is an iconic instrument immediately identified with the legendary guitarist. As part of the Ibanez Premium series, the JEM7VP is a high quality instrument created for the working pro. 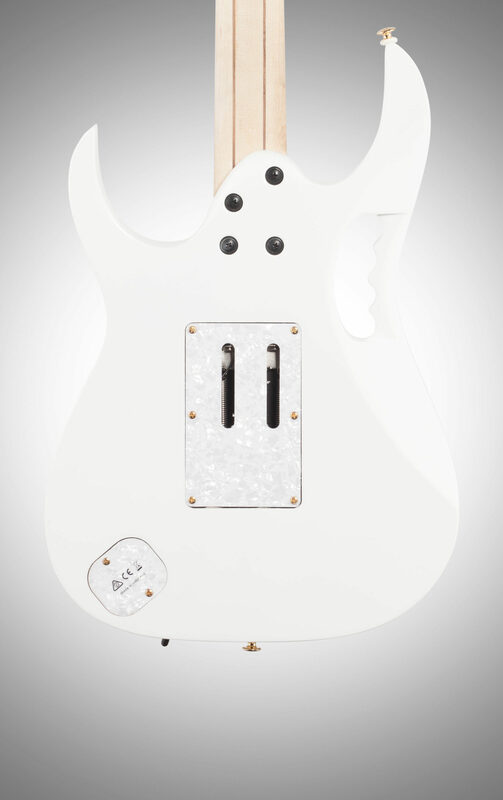 The Ibanez JEM7VP Steve Vai Signature starts with an Alder body featuring its clear tone, and covered in high-gloss pure White with gold hardware. 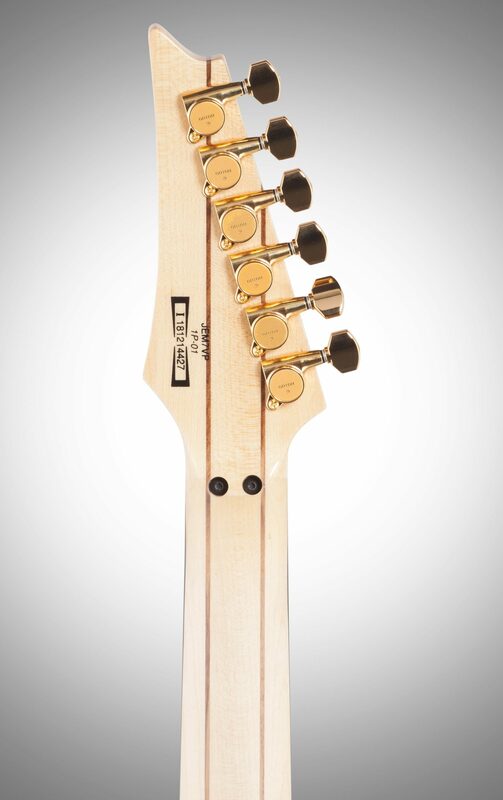 The Wizard 5pc Maple/Walnut neck with KTS TITANIUM rods includes Jumbo frets finished with the Premium Fret Edge Treatment for smooth, comfortable performance. 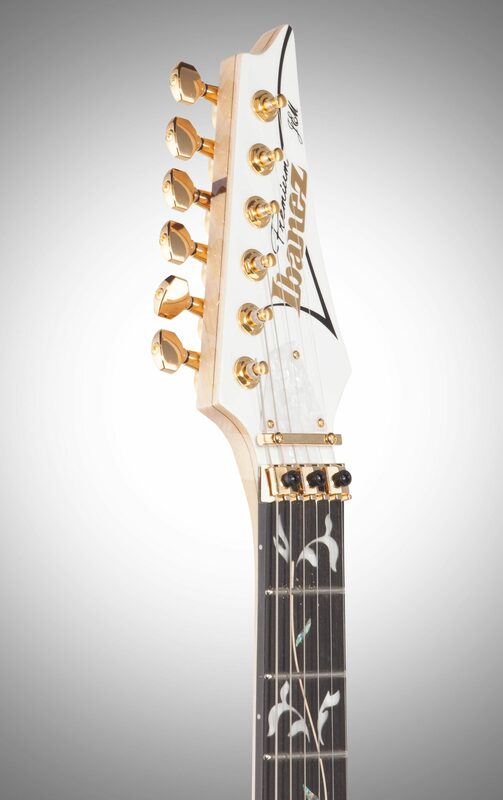 Its elegant Tree of Life inlay prominently stretches along the contrasting Ebony fretboard. 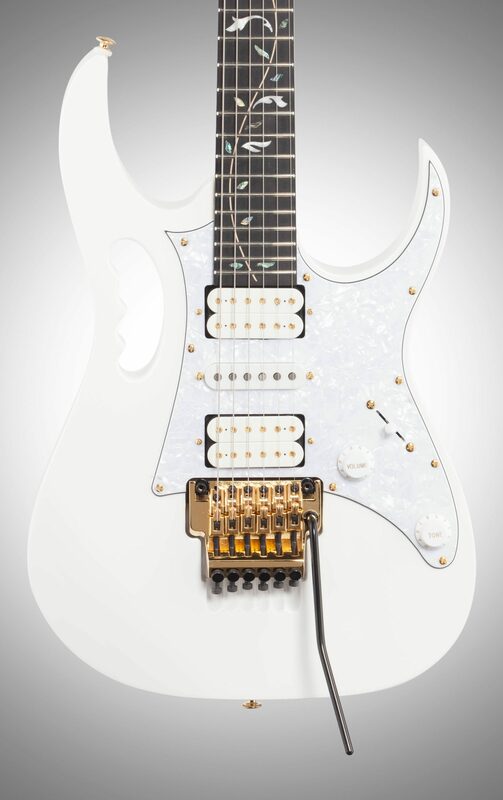 The JEM7VP is equipped with DiMarzio Evolution humbuckers in its bridge and neck positions and a DiMarzio Evolution single coil in its middle position for an array of rock tones. 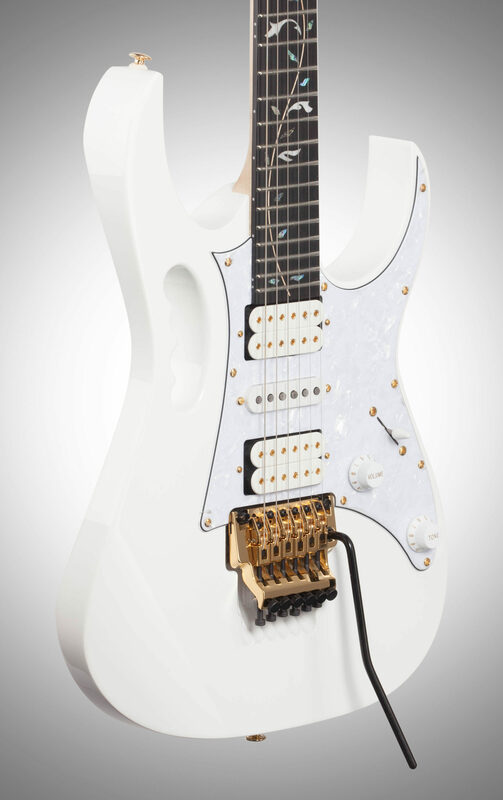 The JEM7VP will let you scream or moan with the Edge tremolo bridge and groundbreaking Lion's Claw tremolo cavity, allowing pitches to be radically raised or lowered without obstruction. 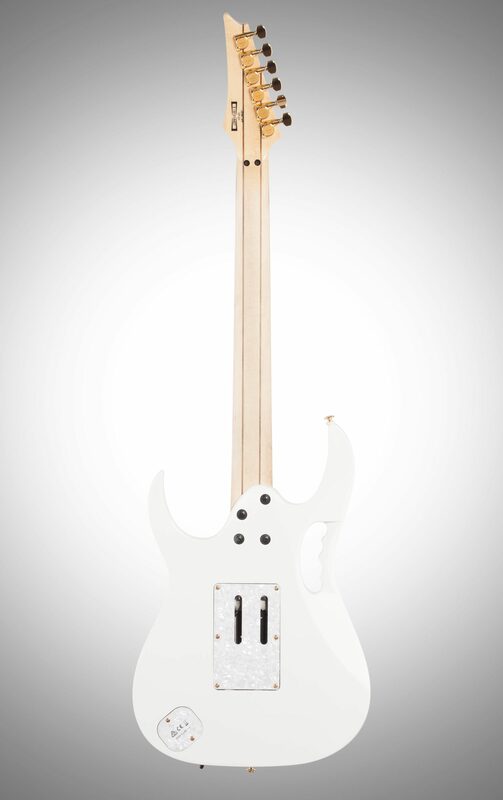 A gig bag is included.